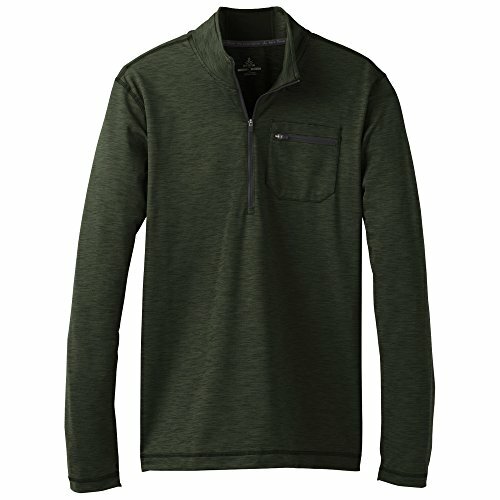 Lightweight Armour® Fleece is light, breathable & stretches for superior mobility. Soft inner layer traps heat to keep you warm & comfortable. Moisture Transport System wicks sweat & dries fast. Pull on the prAna Zylo Zip as you head out for a run. Moisture wicking stretch fabric has reflective details for extra visibility, and is sewn with durable anti-chafing flatlock seams. Heathered fabric and a chest zip pocket add post-run style.